Most recently, in mid-November, the team made tournament history at the 2018 International Intercollegiate Mediation Championship Tournament hosted by Drake University in Des Moines, Iowa, by winning the H. Case Ellis Spirit of Mediation Award for the second consecutive year, this time for best exemplifying the principles of advocacy. Principians also claimed first place in Team Mediation, second place in Team Advocacy, fourth place in Individual Mediation, and fifth place in Individual Advocacy. The team’s strong showing earned them an invitation to the 2019 INADR International Law School Mediation Tournament in Athens, Greece, in March. The Ellis award is particularly meaningful since Principia competes against much larger schools such as Boston University, College of the Holy Cross, University of Texas, and University of Dubuque. “Our students are able to compete with and triumph over the challenges that would seem to put a small college like Principia at a disadvantage," says Dr. Jeffrey Steele, a multidisciplinary professor at the College and the team’s head coach. All told, Principia finished in the top five in each category of competition. Earlier, in late October, the team set league, tournament, and Principia College records at the 2018 Peacemaker Invitational Mediation Tournament at the Maharishi University of Management in Fairfield, Iowa, placing first, second, and third in each of the four categories—Team Mediation, Team Advocacy, Individual Mediation, and Individual Advocacy. 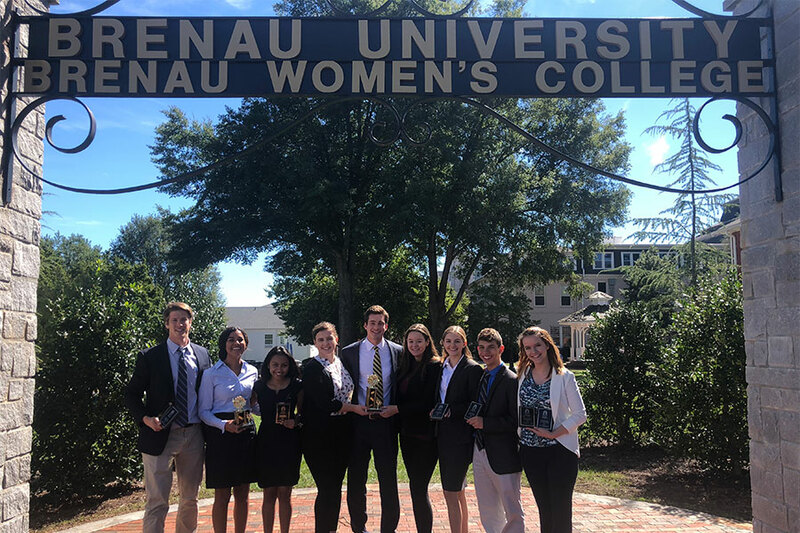 Even earlier, in the first competition of the 2018–19 school year, the team made a strong showing at the 2018 Mock Mediation Invitational Tournament (pictured above) hosted at Brenau University in Gainesville, Georgia, where they competed alongside 22 teams from 14 colleges. Principia emerged with third and fifth place Team Mediation trophies for two different three-person teams. “The entire squad contributed to these extraordinary outcomes,” Dr. Steele notes. “Each team member was thoroughly prepared and demonstrated selfless support.” That high level of dedication was also evident when all team members honed their conflict resolution skills at training sessions with attorneys and professional mediators.